Players take turns rolling the die and following the instructions on the game cards. After a player has rolled at least 5 times he or she is now able to draw a Love Affair card if rolled. 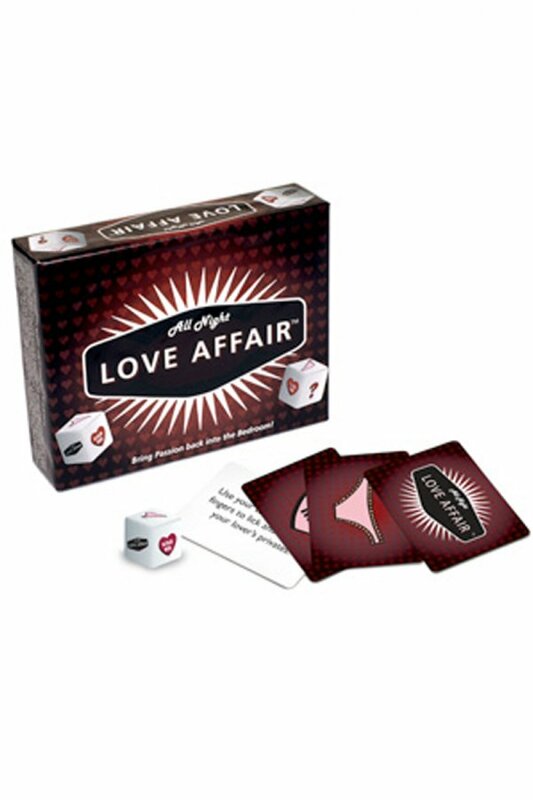 The first person to roll a Love Affair card wins the game and gets to act out the instructions on the card. Contents: one game die and 96 game cards, 32 cards for each of the three card categories.